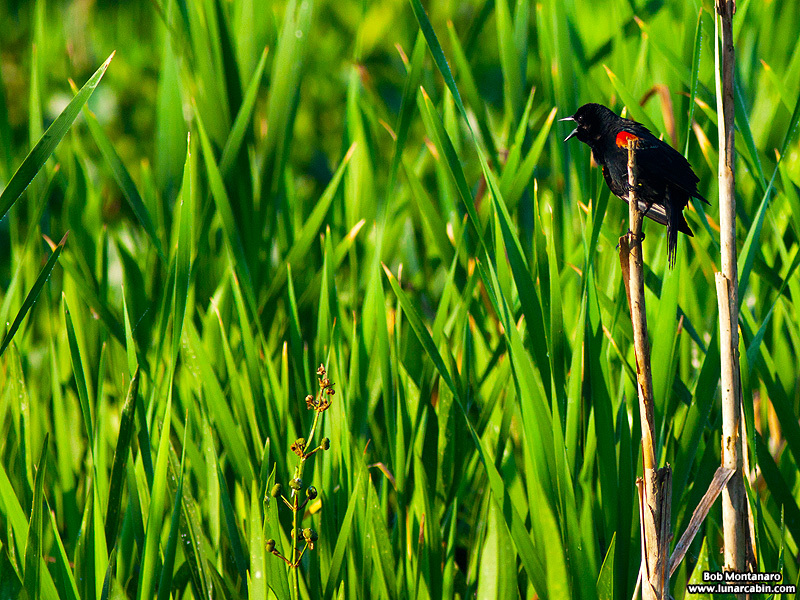 Agelaius phoeniceus, the Red-winged Blackbird, is aptly named. 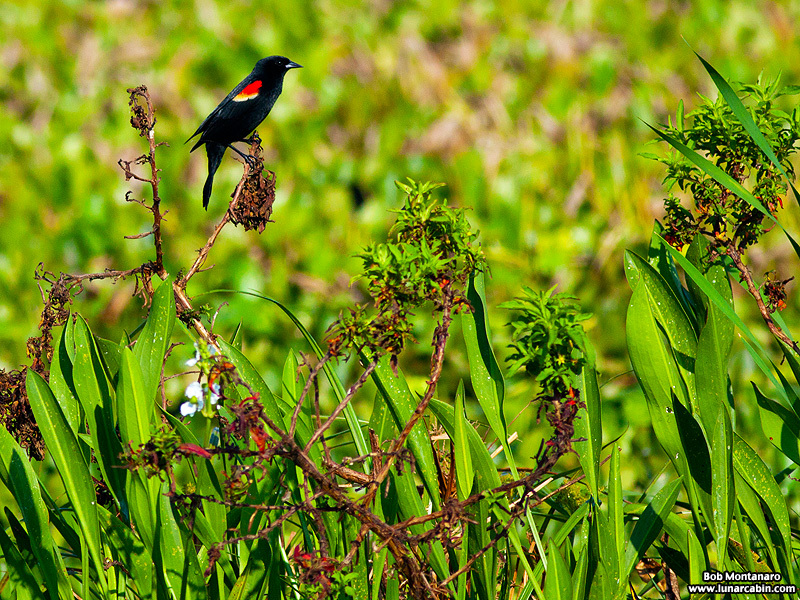 Agelaius refers to the highly social nature of these birds who are often found in noisy groups, while phoeniceus refers to the blood red chevron they sport on their shoulder, a trait that gives the bird its popular name, too. 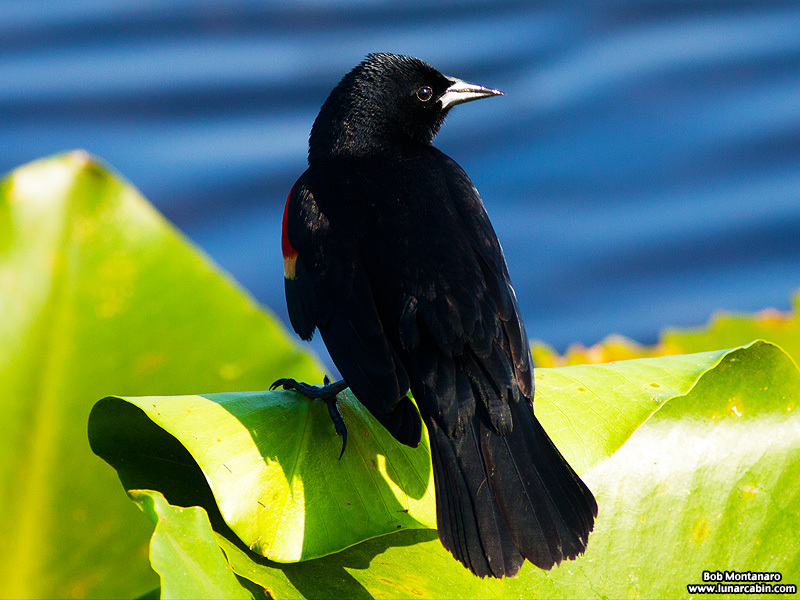 It is the black plumaged males that carry the red mark. 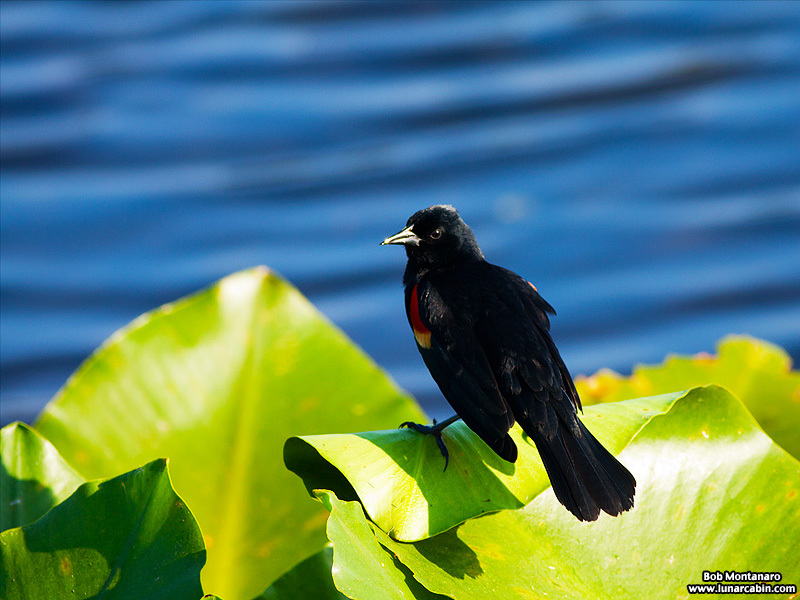 Red-winged Blackbirds can be found as often in backyards as out in wetlands. 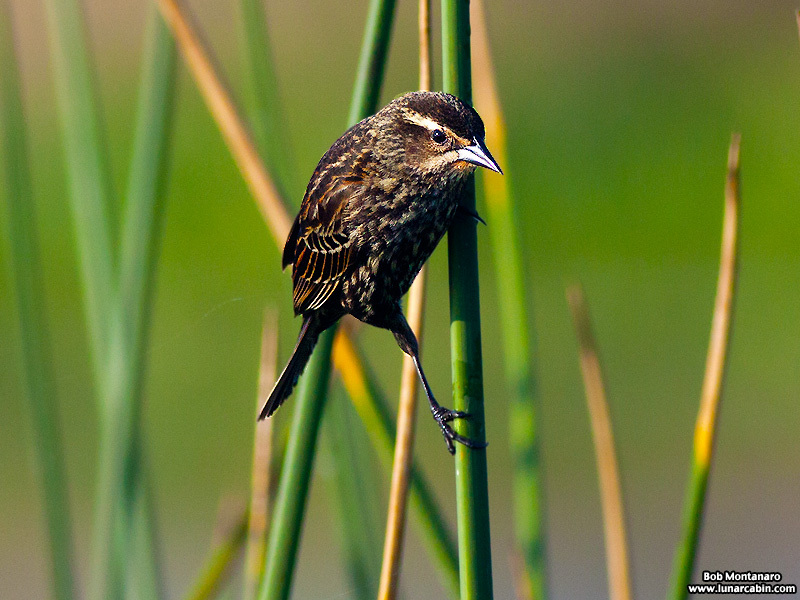 Males will defend a territory they have staked out for themselves during the breeding season. Juveniles of both sexes look similar to the brown plumaged female, who, as seen here, resembles her ostentatious mate in shape only. 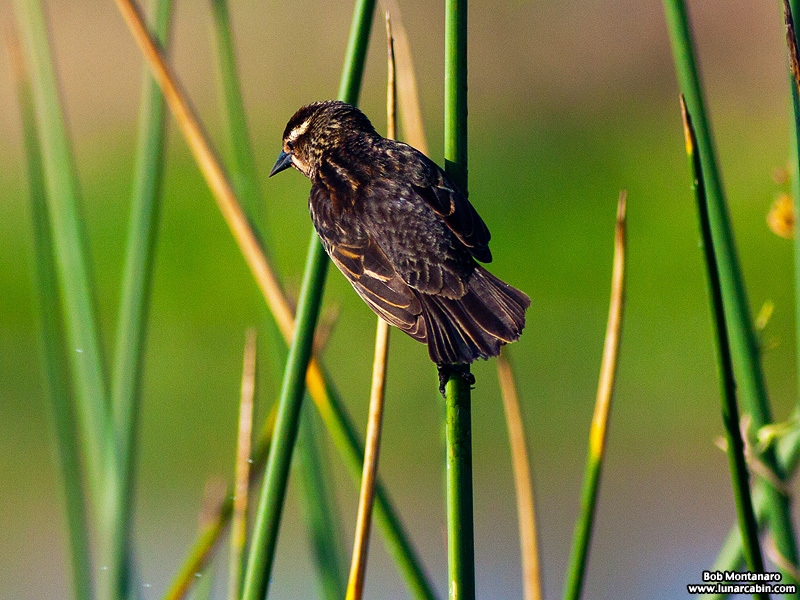 The streaked brown plumage of the female Red-winged Blackbird allows her to blend right in to the scenery.